HZS concrete Batching Plant is an automatic concrete mixing equipment ,which consists of batching ,mixing and electric control system,etc. It is applied to medium& large construction site, prefabricated factory and commodity concrete manufacturer. 1. Combined structures, complete sets installation, convenient removal. 2. The host adopt JS series twin-shaft mixer, having great mixing quality and high produtivity. 3. The dosing of aggregate, cement, water, liquid additive are measured by weighting method,which leads to high batching high accuracy. 4. The electric control system adopt the imported components. It has complete functions, reliable performance and convienient operation. The control center is installed one the ground in order to eliminate the vibration to electric control system. 5.HZS series concrete batching plant, is high-compulsory equitment,which may produce several concrete like plasticity,dry-rigid concrete and other concrete. 6.Its efficiency is high, widely used to large&medium-scale building construction sites,road,brige and prefabircated factory. Any inquiry will be fast replied. Accurately convey customer’s information. Help customer to control the goods quality. We have been keeping a very good cooperation relationship with factories. 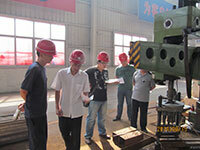 We can help customer to change the broken spare parts or send engineer to the local in-timely with low cost. 1 year warranty. Engineer comes to the local for installation for free in the first month and free spare parts changing. If it is above 1 year, need customer charge the air tickets, visa and living expenses for the engineers to install in the local. 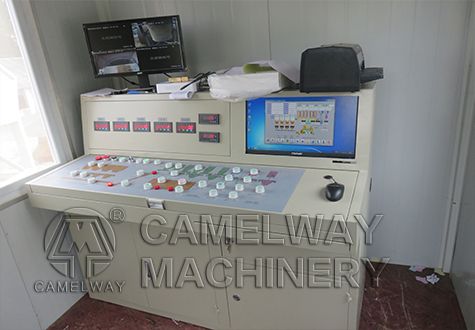 This entry was posted in Solution and tagged cement plant by camelway. Bookmark the permalink.